It is safe to be used from day one and makes the skin soft and smooth pleasant botanical fragrance ideal from day one no tears formula clinically proven suitable for new-borns. 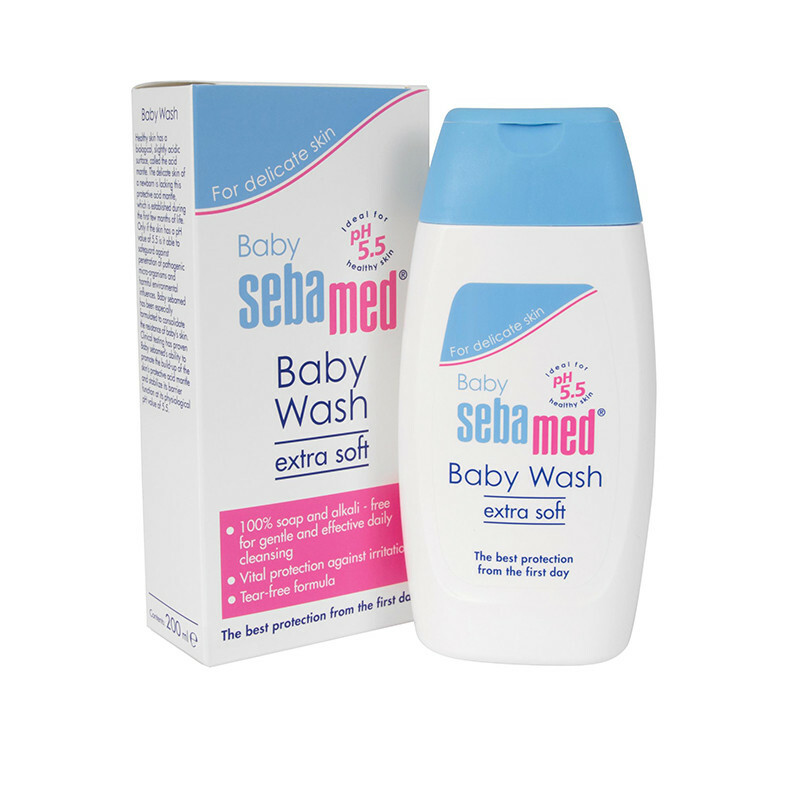 Sebamed Baby Wash Extra Soft is 100% soap-free, gentle cleansing wash for head to toe cleansing of the baby's delicate skin, making it smooth and soft, minimizing the risk of dryness or irritation.The pH value of 5.5 of Sebamed Baby is clinically proven to promote the development of skin's acid mantle which protects the skin from entry of harmful bacteria and prevents moisture loss. Gentle botanical cleanser with refatting compound containing vernix related squalene to balance the lipid content of the baby's tender skin.